I am a little late for the Point Horror Book Club, alas yesterday I was taken over by a migraine and so spent the morning trying to stave it off, then having to simply let it have its wicked way all afternoon and evening – missing two bloody parties too I will have you know. However some of you are running late to this too, shame on you, by not getting your mitts on some of these Point Horror gems. I know some people have been surprised to see Savidge Reads take on this monthly challenge, especially when my other monthly challenge The Persephone Project (which we will be catching up with on Sunday) is rather at the other end of the spectrum of books and literature. Yet one thing I have been thinking about is how reading needs to be fun, and my reading sometimes needs to be more fun, and revisiting these dark yet kind of camp classics of my childhood is the perfect thing. Anyway the latest Point Horror Book Club choice has been R.L. Stine’s ‘The Baby-Sitter’ which I actually think all wannabe crime and horror writers should read, seriously. For Jenny Jeffers money is tight and Christmas will soon be here. Needing the extra cash to help her mother she takes a job babysitting for the Hagen’s on the other side of town every Thursday and Saturday. The Hagen’s house is (surprise, surprise) rather like something out of a horror movie. Surrounded by woods and rather a way off the main road, their decrepit house and Mr Hagen’s odd nervous disposition would make any teenager feel slightly uneasy. Throw in the fact that Jenny has a highly over active imagination, some maniac has been beating up/killing local babysitters and the fact Jenny is in the 80’s and doesn’t have a smart phone and you are headed for horrors ahoy aren’t you? 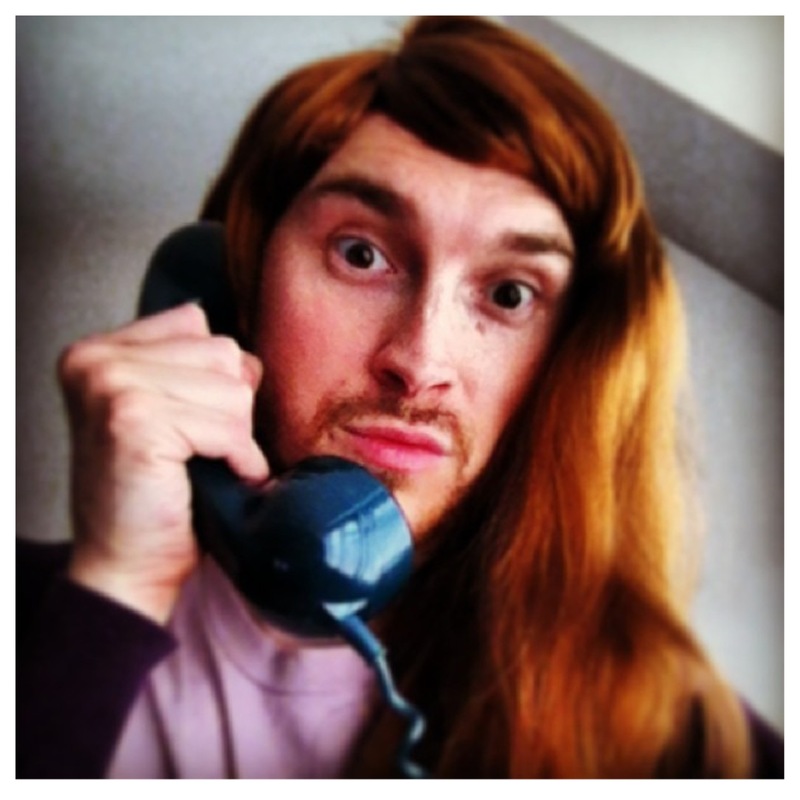 I am slightly saddened that I had read last month’s Point Horror Book Club choice, ‘Trick or Treat’ by Richie Tankersley Cusick (a review that shows me at my most natural), before we read ‘The Baby-Sitter’ because the two both use the same object of fear – the creepy phone call. Now I know, rather like cosy crimes, most Point Horror’s do stick to the same-ish scenario but these two are very similar from that perspective. What we have to remember is that Stine did it first and so really, apart from the original urban legend of the babysitter who is called by a scary voice from the house she is in, that is what we should remember. Also Stine shows he is a master of building suspense and ending chapters on a cliff hanger that means you have to read on, hence why any budding horror or crime writer should be reading this. 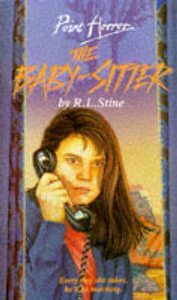 For a horror novel, regardless of the market it is aimed at, ‘The Baby-Sitter’ actually lacks a lot of full on terror or jumpy moments. There are a few of the latter yet what Stine does impeccably with this book is build a sense of unease, tension and menace. Each time Jenny goes to the Hagen’s something creepy happens (a sinister phone call, banging outside, neighbours creeping around, cars parked sinisterly on the end of the drive) so as she goes back each time to babysit for the (very precocious and also sinister) little boy Donny, after convincing herself it is all in her very over active imagination, we are waiting for the next slightly more awful thing to happen until it comes to a head. I thought this was done really deftly and honestly lots of writers, budding or not actually, could learn from this. So good was it that I forgave him for bringing in one of the most annoying characters I have ever come across in the form of Jenny’s possible boyfriend Chuck. Irritating doesn’t even cover it. Unhinged too, which adds to it all, could it be that Jenny’s own possible love interest could be the one calling and threatening her? I also forgave Stine for lines like “Let’s go into Sock City,” Jenny said. “I like to look at socks.” I don’t know any teenagers who like socks, or even give a monkey’s about their socks, not so in the case of Jenny and her friends. I’m really pleased I read ‘The Baby-Sitter’ and actually think it was the first time I had read it, which is quite shocking as it is one of the most famous with several sequels and I was such a fan of this series as a youth. You can see why Stine became one of the kings of teen horror, he puts a real effort into unnerving the reader and building the fear rather than going over the top like ‘Trick or Treat’ did – enjoyable as it was. Alas I don’t see any writing courses taking me seriously and popping this on any courses about suspense, unease and atmosphere but they bloody well should. 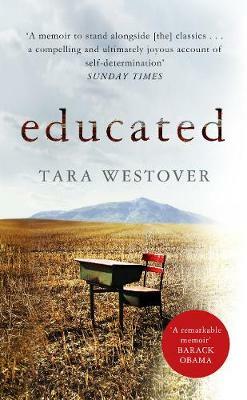 So who joined in to read this and what did you make of it? Which were your favourite Point Horror’s that we should be looking out for? Did Point Horrors completely pass you by? Have you read any of Stine’s other non PH work and should I be off to read that? Don’t forget to pop to host James’ website for more and do join us next month for ‘Funhouse’ by Diane Hoh.